One of the most beautiful and cosmopolitan cities in Europe, Lisbon, the capital of Portugal, is a vibrant colourful destination on the River Tagus. Known for its sunny and warm atmosphere, this city is home for numerous historic monuments, museums and natural beauties, but also a dynamic place where there are so many activities for visitors. Among the most preferred by tourists, there is the old town with its narrow streets, the public parks and gardens and some iconic landmarks. Let’s see which are the most famous and why you should see them. 1.Saint George Castle (Castelo de Sao Jorge) is an iconic landmark of Lisbon, situated on top of a hill near Alfama, standing over the Portuguese capital. 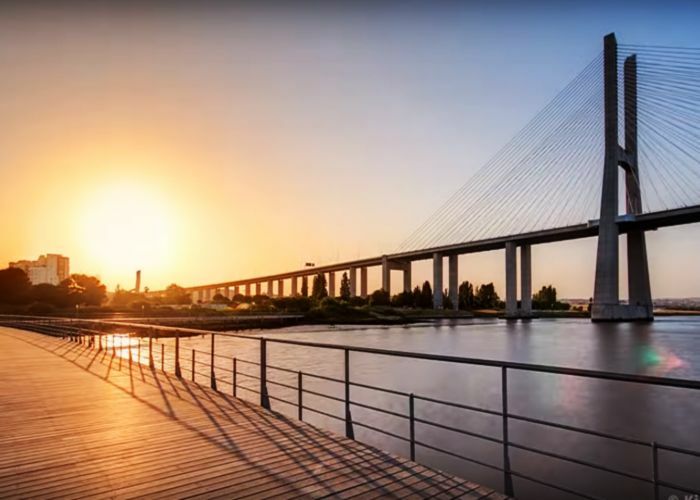 Visiting this place is a unique experience, since the tourists can admire the fabulous views from the observation terrace, like the panorama of the city, the River Tagus and the Atlantic Ocean and they can also enter a tower that hosts a Camera Obscura periscope which provides an unusual 360° view of the city below. 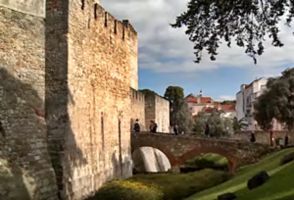 Saint George Castle is a great attraction for everyone, it has impressive battlements, an interesting museum, so its a fascinating archaeological site to visit. 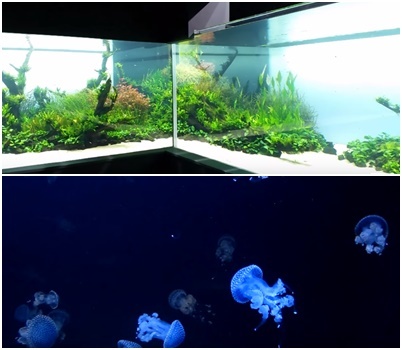 2.Lisbon Oceanarium is one of the largest in the world, including numerous species of fish, marine animals and birds, all shown in their specific environments. So the layout represents four separate seas and landscapes, each one being a mini ecosystem of the Atlantic, Pacific, Antarctic and Indian oceans. They all surround a central reservoir which is home for fish of all shapes, sizes and colours, a real fascination for kids and not only. 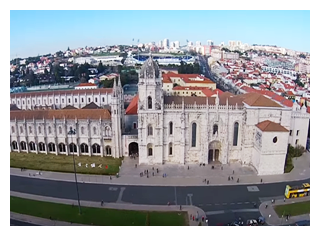 3.Jeronimos Monastery, built in honour of Portugal’s age of discovery, can’t be missed from any sightseeing tour in Lisbon. Its immense historical and cultural significance, but also its localization, attract over 1 million visitors every year. The monastery is situated in the beautiful Belem neighbourhood and it was built to honour Vasco da Gama voyage to India. His tomb is just inside the entrance to the Church of Santa Maria, where you can admire the marvellous south portal and the beautiful Manueline hermitage. 4.The Monument to the Discoveries is another landmark not to be forgotten. Leaning over the River Tangus, it is an enormous monolith which resembles the Portuguese ships commanded in the 15th century to chart unexplored oceans and discover new lands. You can admire its stunning design from outside, but you can also take the elevator to the top of the monument, where the view is breath taking and where you can take fabulous photos. 5.Calouste Gulbenkian Museum, a sparkling treasure of Lisbon culture, is home for priceless artworks from all over the world, from ancient Egyptian ages to the 20th century. History enthusiast can spend half a day admiring the exhibition galleries, but it is worth “wasting” time here, since you’ll have the journey of your life through one of the finest collections of art in Europe. 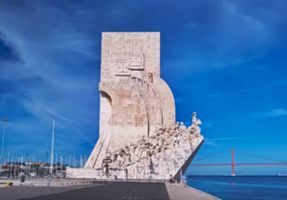 Your trip couldn’t be complete without checking another popular attractions too, like Belem Tower, Santa Justa Lift and Rua Augusta Triumphal Arch. 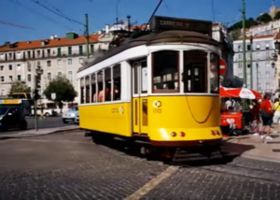 And to enrich your voyage with some great activities, in Lisbon you can enjoy the beautiful beaches, you can join a tram ride through the narrow streets (the 28 tram provides one of the best tours of the city) or you can go to Terreiro do Paco and enjoy a pleasant walk in the largest square of Lisbon, along the river. Hoping that we have drawn your attention, we invite you to plan your trip with TripEconomy. You can book your hotel in Lisbon and you can search for cheap flights right now. With up to 75% in savings, your vacation will definitely be more enjoyable.